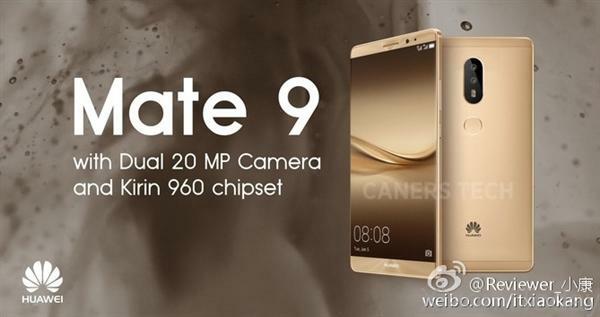 leaked promo image of the upcoming Huawei Mate 9 was spotted online early hours of yesterday, the Chinese smartphone giant known for its epic camera quality, this time around didn’t disappoint as always. As expected, the Mate 9 will also feature a fingerprint scanner, and of course most likely to come with a huge battery of about 4,000 mAh, the cameras are also rumored to come with optical image stabilization technology this time around. However, the device is expected to make an appearance in December, What would you like to see from Mate 9?